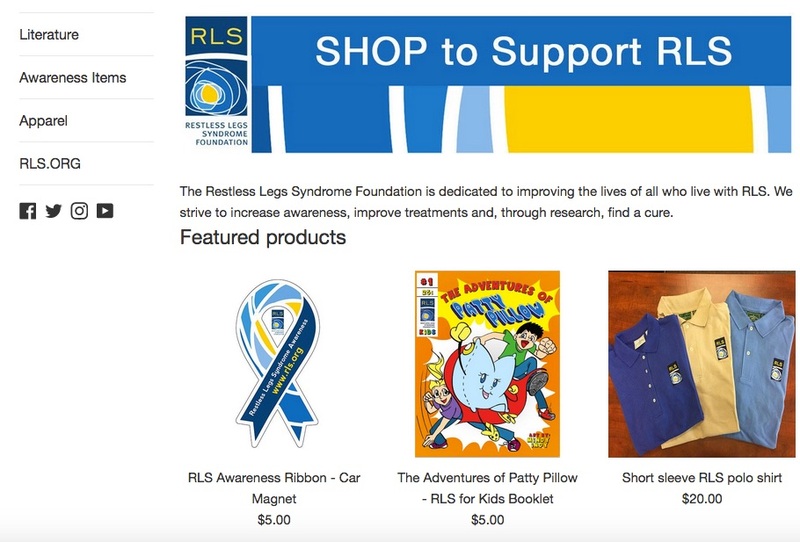 We get requests daily from members looking for ways to increase awareness about RLS, so we are bringing back the RLSF shop. September 23rd is RLS Awareness Day - and what better way to spread the word than with a colorful awareness ribbon on your car? This magnet measures 3 7/8" W x 8" H.
We have a limited number of Vintage T-Shirts, a "throw back" from our 20th Anniversary celebrated almost five years ago! Also find a variety of shirts and hoodies, as well as some of our newest literature like The Adventures of Patty Pillow: A Guide to RLS for Kids. Visit our Shop now. 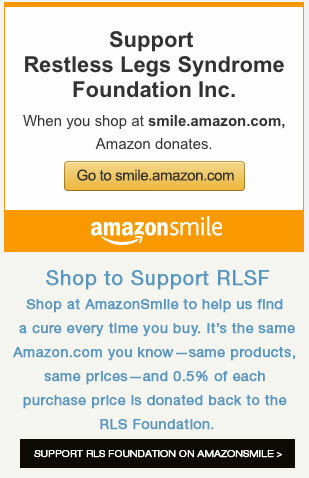 All purchases support the Foundation!